New Kayak album in september! It has been quiet on my blog for a while; I moved to a new house, so I did not have much time. And there really wasn't very much Kayak news to tell. 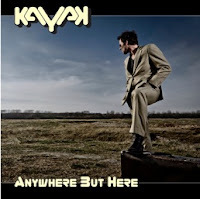 But that is going to change: september 2011 will see the release of the new Kayak album "Anywhere But Here"!